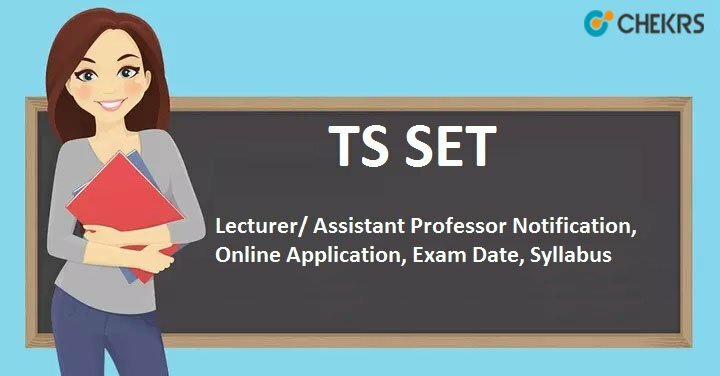 TS SET Notification 2019: Telangana State Eligibility Test (TS-SET) notification has soon released officially for Lecturer/ Assistant Professor (Teaching Jobs) in Degree College University Grants Commission Regulations. In order to carry out the selection criteria, the host Osmania University will invite the applications from the eligible candidates to register for TS SET Application Form 2019. For further essential details regarding TS State Eligibility Test 2019 check the information provided in below sections. (तेलंगाना सेट अधिसूचना): Candidates who were waiting for the TS SET Exam 2019, in order to fill this gap, application process for the same is under process. The applications will be only accepted via the official website, thus to submit the application forms within the stipulated time, must adhere to the norms and terms as mentioned in the Telangana SET 2019 Notification. Other essential details such are eligibility conditions, duration to apply for the recruitment, application fee, selection criteria as well as other essential information like Telangana SET Online Application norms and guidelines are mentioned in below sections. As per the official notification, the examination of Telangana State Eligibility Test would be organized in July. Candidates who have applied for examination, they will call for the same as per Telangana SET Exam Date 2019, further information about the examination center are specified in the detailed advertisement. Candidates who are eligible for the Telangana SET Assistant Professor examination, they can apply for the same before the deadline. The registration for the SET exam will be accepted via online mode only. For further information regarding TS SET Notification 2019 refer to the below sections. Candidates will be termed eligible for the TS SET exam if they satisfy the below eligibility conditions. However to get complete details over the same reference to the official notification. Candidates who have completed or are pursuing the final year of PG degree in related subjects are eligible to appear TS-SET. Candidates who have secured at least 55% marks in Master’s Degree or Equivalent examination from universities/ Institutions recognized by UGC are eligible for SET. However Backward Classes/ Scheduled Castes/ Scheduled Tribes/ Physically Challenged category candidates, in order to be eligible for the same, these candidates must possess 50% marks in the PG/Equivalent examinations. Ph.D. degree holders whose Master’s level examination has been completed on/ before 19th September 1991 shall be eligible and their marks would be relaxed up to 5%. For TS SET examination there is no upper age limit. The fee structure for the Telangana State Eligibility Test would be as given below. On time as well as late application fee would be paid via below mentioned payment gateway. The registration fee for online submission and late fee must be paid through Credit card/ Debit Card/ Net banking). Candidates who are eligible to apply for the TS State Eligibility Test they may follow the below guidelines. However, in case you need information over the same you may refer information bulletin. Submit it and take a printout of the same for further reference. Telangana SET examination will be conducted for the below subjects. As far as TS SET Syllabus 2019 is considered, the paper-I syllabus is common for all the subjects, whereas paper-II and III syllabus varies as per the choice of subjects, which you have studied/ Opted. The exam pattern of the Telangana Assistant Professor examination shall be as given under. Candidates who have registered for the examination, selection of them will be carried out after the examination, the format of which/ Telangana SET Exam Pattern 2019 would be as given below. In order to select the candidates, as per the UGC Commission terms and conditions, 60% of the appeared candidates would be shortlisted for further rounds. In order to be considered for eligibility for the Assistant Professor profile, the candidates are required to appear in all the three papers and secure at least 40% aggregate marks in all the three papers together. Note: In case you face any query while registration or in order to sort out any further queries regarding the TS SET 2019, you may ask us via below provided commenting section.